School bus monitoring system is a web based application available 24×7 with the school administrator to monitor entire fleet of buses. Includes Dedicated App for parents to monitor bus location and safety of child. An App specifically for Driver to send location info to server and get the smart driving alerts. No specific hardware required. It can be run on any smart phone for driver or parent and on any desktop or tab with internet for school admin. Both Parent and school authorities can monitor bus route violation, over speed incidents, unscheduled stops and driver information. 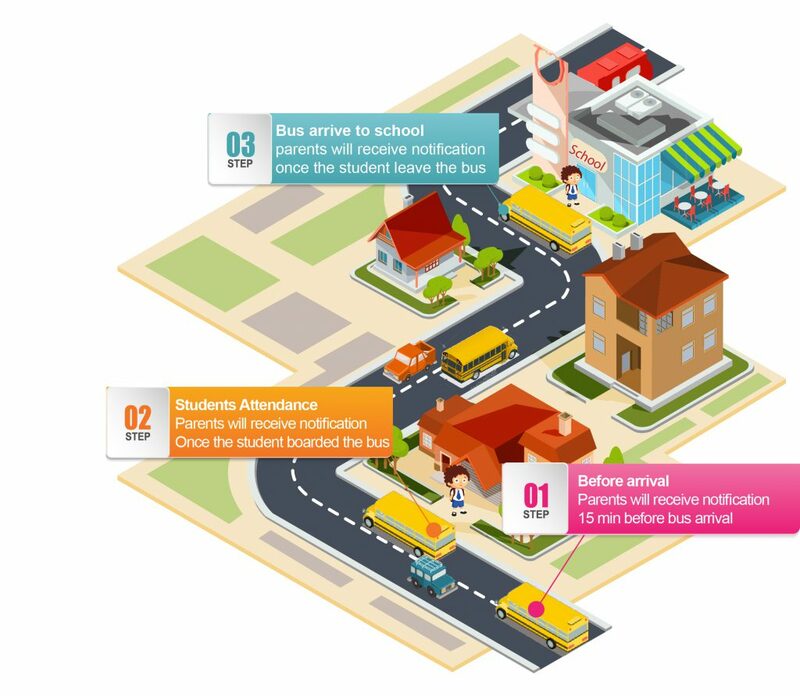 Why Tracking is important for your school bus ? tracking Vision allows school management to keep track of the bus through GPS and find out the deviation of the bus route from its scheduled route and predefined route easily. tracking Vision helps school management to reduce cost through optimization of routes and vehicle capacity. The system monitors the misuse of school bus and alerts authorities in case of problems. School management can easily find out the vehicle speed and drivers behavior pattern , if the driver is too fast or breaking traffic rules. School management can work easily with parents to make things run more smoothly. tracking Vision allows school management to define safe zone and if the bus crossed this zone alert will be sent to the school management. How Parents can benefit ? Get notified when the bus is over speeding with area and time. Get notification when your child is dropped at a wrong bus stop. Get notified when the bus reaches or leaves the school. Be able to select the notifications of your choice and requirements. Get notifications when your child has boarded the bus or vise versa. Get notified when the bus is 10 mins away from the bus stop. Be able to live track your child's bus on the map.